Posted on July 14, 2014 by Sarvjeet Singh. Stockholm Syndrome – NO! It’s Love. Finally a movie where the rich, pretty, Delhi girl is shown not to fall in love with your stereotypical pretty Punjabi boy, but a truck wallah. It was a bold idea which would be path-breaking in any other context; but a representation of textbook Stockholm Syndrome as a genuine romance is more worrisome than refreshing. The depiction of Stockholm Syndrome as your typical girl-meets-boy-girl-dislikes-boy-no-means-yes-wait-girl-actually-loves-boy stereotype reinforces the terrifyingly widespread idea that stalking and abduction is the quick-fix means to win a woman’s love. 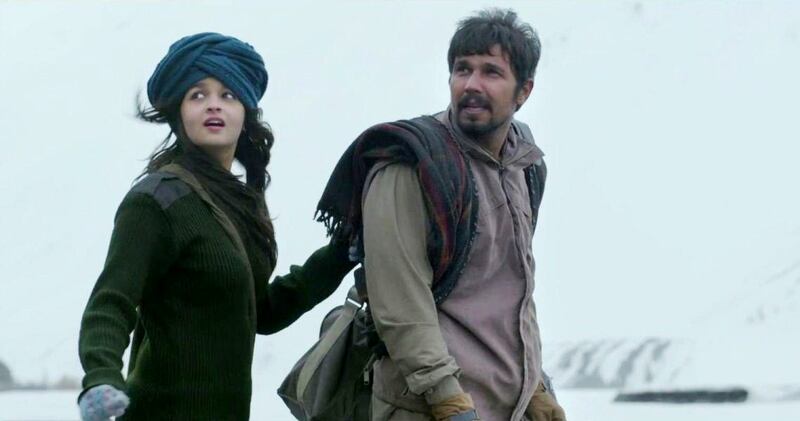 Alia Bhatt plays the role of Veera, a girl kidnapped by Mahabir, a goon played by Randeep Hooda. While this movie had the opportunity of exploring the relatively uncharted waters of Stockholm Syndrome as a psychological disorder, it completely misses its mark, by romanticising the affection shown by a woman towards her captor. If not caused by a psychological disorder, her behaviour, (especially her choosing to return to her captors after running away, as well as letting further opportunities of escape slip by), is absurd. Interestingly, the movie also showed the captor sympathising with his victim, a psychological disorder known as Lima Syndrome, but chose to cloak it as falling in love. Throughout the film women were cajoled into hushing up their experiences of sexual assault, as is the unfortunately ubiquitous norm. Brave Veera finally confronts her “abuser – uncle” but her father’s first instinct, unsurprisingly, was to brush the incident under the carpet. More bothered about gossip mongers, her mother shushed nine year old Veera when she confided in her. We guess confronting an abusive relative is after all more inconvenient than years of hiding abuse. This tendency seems to permeate across all socio-economic strata, as Mahabir’s mother had been sexually exploited when he was young, but she too had endured it silently. 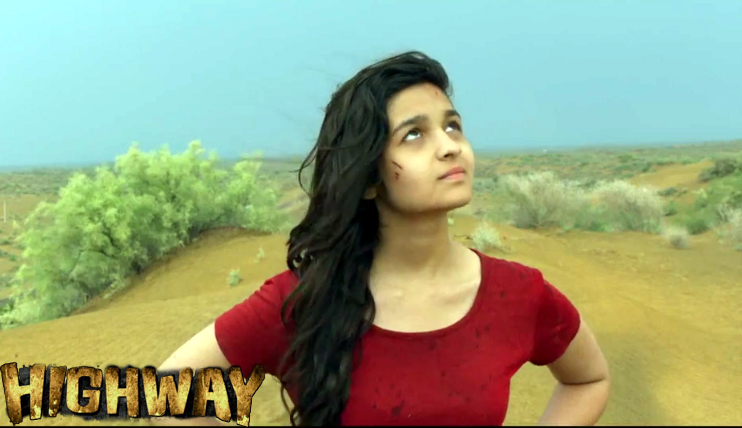 Objectification of women is omnipresent in Bollywood offerings, and Highway is no exception. Throughout the first half of the movie, Veera was Mahabir’s ‘Consignment’, ready to be sold to a brothel at a moment’s notice. When one of his accomplices tried to force himself on her, he was told that she was just a consignment, not a woman. So we imagine it’s okay to assault her if she was treated as a ‘woman’. One refreshing thing about Highway was that unlike other mainstream movies, it didn’t have an item number. Oh wait, it did. An awkward two-minute scene where Veera does a sensual dance to a song in a misplaced setting with misguided lyrics which left the viewer completely bewildered and just embarrassed for the protagonist. That is not to say that there is ever a right time for a sensual dance to a song proclaiming oneself to be a spicy Mexican dish (‘hot tamale’). Even if the intention was to convey that she felt free and uninhibited in those surroundings, a less sensual song and dance would have sufficed. Despite taking a step forward, and having a woman as the lead character, Veera is the only named female character in the entire movie. Other women (who had a total screen time of under a minute in an approximately 170-minute long movie) are seen in fleeting glimpses, gushing about frivolous things like clothes, jewellery, elaborate engagement proposals, and exotic wedding locales. Ripe with gender stereotypes, several instances reinforced the role of women in the family as nurturers and homemakers. Within the first fifteen minutes, Veera describes her dream life as up in the mountains where she stays home and cooks, while her husband goes out and herds sheep. So internalized is this role of a caregiver, that whenever Veera saw her captor haunted by memories of his troubled childhood, she instinctively rushed to comfort him. At the same time, the converse stereotype of women relying on their knights in shining armour to come to their rescue is on display – right from expecting her fiancé to protect her while driving in an unsafe area, to banking on Mahabir to handle things, should they go awry. Guess it runs in the family, since when the kidnappers call Veera’s mother with a ransom demand, she doesn’t answer the phone, leaving ‘The Husband’ to take care of it instead. Must affection shown towards one’s abductor necessarily be a manifestation of a psychological disorder? Can one choose who one falls in love with? What does it mean to be in love and how is it different from Stockholm Syndrome? Imtiaz Ali’s shallow screenplay fails to engage with the very core of the story he presents. 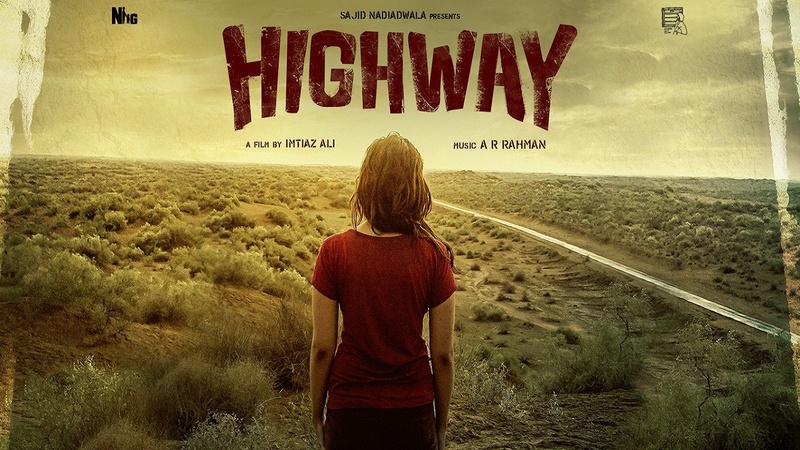 More than anything else, Highway was a disappointing film because it had the potential to be a fantastic exploration into the psyche of a victim of Stockholm Syndrome and delve into such complex questions of love and despair; but instead, it cheapens it down to a baffling love-conquers-all (even abduction!) story. Posted in Censorship and Dirty Picture Project. Tagged alia bhatt, Bollywood, dirty picture, Feminism, highway, and sexism.